September is starting off with a BANG! There's a lot to show you in this newsletter, so let's get started with the fun new arrivals! We had the honor of hosting the Des Moines Area Quilt Guild Raffle Quilt this past week. It truly is just gorgeous, and many people who stopped in to see it, just marveled at it and raved with positive comments! We received from Shannon Fabrics new swaddle kits and Minke kits. This 3 piece swaddle kit is easy to make, and will be warm to use this fall/winter with the Minke on the border and backs. Needing a baby gift for someone special? 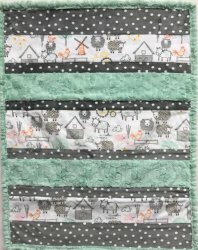 And lastly, from Shannon Fabrics, we received in, this Farm Scene Cuddle Kit. 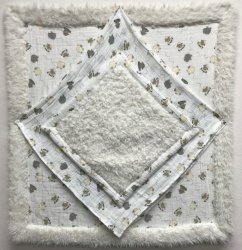 Babies are going to love how soft this blanket feels! And not to exclude the adults from some soft-cuddle-up fabrics! We have received in a shipment of Soft Textured Fireside 60"-wide fabric! This fabric makes a luxurious backing for those winter quilts you are preparing to make! This festive fall table runner was made by my daughter Julia. She took a Patrick Lose Halloween Panel, a Patrick Lose Halloween Charm Pack, and our black wool, to create this fun table runner! Everything is in stock in the store! If we are going to throw in a little Halloween....maybe we should add a little Christmas! These dolls would make a great gift for the little girls on your Christmas list. Just one panel and a little stuffing and wa-la! 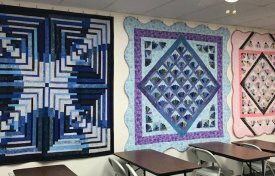 A special Thanks to Karen Burrier for showcasing her beautiful quilts with us this month in our classroom! They are absolutely stunning! Here is a sneak peek and I will reveal more the next two weeks! Our October theme is fall and Halloween. November and December are Holiday. 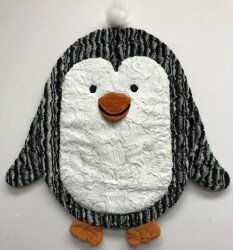 If you are interested in showcasing your quilts in October, November, or December, please bring them in before the 28th of the month, and we will hang them up! 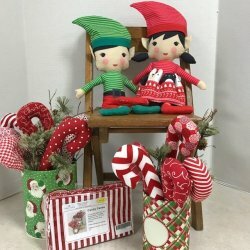 I would love to have more quilt showcases, such as Karen's, for 2019! If you are interested in doing your own private one month showing, give me a call and reserve your month for 2019. Beginning Quilt Making Classes Session 1 is being offered on Thursday, September 13th. Beginning Quilt Making Session 2 being offered on Thursday, September 27th. Both are from 6-8 pm. 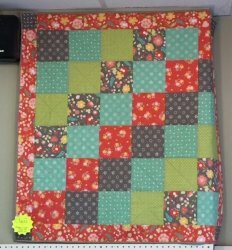 Pictured is the quilt top you will learn to make and supply list is on our website or stop in to pick a copy up. 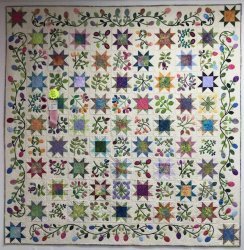 Pat is our instructor for this 3 part series and an award winning quilter! She is an excellent teacher and shares all of her knowledge with best practices, making her classes very beneficial. This series is a great way to get started with quilting! Wool Club is on Tuesday, September 11th from 12 to 4 in our classroom! This is a fun group of ladies, and there is always room for one more! There will be NO APPLIQUE SEW-IN next Wednesday. Congratulations to the University of Iowa for winning the BIG rivalry game on Saturday! Thanks to everyone who put their name in our jars for our fat quarter bundle giveaway! And because both teams played hard, we are giving away an Iowa State Fat Quarter Bundle also! Thanks to everyone who played our game! The following machines are being closed out by Pfaff in order to make room for newer models. These prices are incredible! Once the machines are gone, we will not be able to order any more...so if you are interested in receiving one of these machines, now is the time to stop in and pick one up! New Pfaff machines will be released this fall at convention and I have no clue what the new machines are like or their price points. 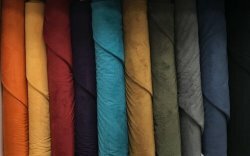 This weeks coupon is 15% off any threads! I think we have a busy sewing season coming up and you are going to need some threads! Present coupon or this newsletter at time of checkout. Coupon good 09/11-09/17.